If you have the fortune of having the soul of a country bumpkin like me, you’ll appreciate how living in the big, bad city can frequently rattle the nerves and get the stress levels reaching for the sky. As a resident of some sizeable urban sprawls in the past (Leeds and Sydney) I always found it reassuringly simple to flee the choked-up centres and head out to nature to relax, breathe and recalibrate, being spoiled by the respective beauty of the Yorkshire Dales and some of Australia’s most beautiful beaches. Paris however, proves a great deal more difficult to escape when the rage levels reach their peak after too long dealing with those abrasive Parisian manners (and for those in the know, that’s being mighty kind…. ), though the need for liberation burns far more intensely than it ever has before. Luckily, I realised fairly early on that if out wasn’t an option (negotiating Paris’ bland and traffic-strangled suburban outreaches makes the need for breathing space ten times worse), then the only solution was to go up in the quest to put some distance between me and the modern tensions of city life. In absence of a private hot air balloon or one of those superhero-esque jet pack contraptions, my only option is to rely on Paris’ buildings to hoist me skywards. The most obvious candidate is the grand old dame that is the Eiffel Tower, but relaxation for me doesn’t involve wading into the surrounding tourist treacle and waiting for an hour to get my chance to tackle the climb. The Tour Montparnasse is another good option, though heading south of the river is for me an exercise in frazzled nerves itself. A little bit closer to Granny Flat HQ, and conveniently on my favoured line 4 is the centre Georges Pompidou, that garish tangle of pipes that houses the city’s modern art collection. A hugely divisive structure due to its out-there inside-out design, I’m firmly in the camp that prefers to be inside it regardless of what’s on offer on the walls, since safely housed within it means I don’t have to assault my eyes looking at the damn thing. Head to the very top and you’ll be greeted with a stunning view of Paris, more authentic and real than the picture perfect versions that you get at the dizzy heights of the Eiffel Tower (plus escalators do all of the hard work getting you to the summit). You can see that on the day I ventured to the viewing area the weather was less than kind, but finding the perfect city tableau isn’t really the point. For me it’s more about gaining a different perspective, popping your head above the grey clouds of the daily grind and realising your place in the world. A bit of drizzle almost helps add to the peaceful grounding of it all. The real beauty of this bird’s eye view though is the fact that you don’t need to bother with the art gallery aspect at all – entrance to the top viewing floor is a mere 3 euros on its own (though included in the main ticket price too, naturally). Where modern urban stress is concerned, a couple of 10 euro cocktails might offer some solace, or for those with a bit more cash in the bank, an afternoon at the shops. But mindless splurging isn’t my bag, so where relaxation is concerned, it’s the sky, rather than the overdraft, that’s the limit. Guys, breathe a sigh of relief. We’ve pretty much done it. You can raise your head from out of the beige blanket that was winter, and start to look towards the shining spring light of March, just a whisker of days away. Now although this winter was a great deal kinder than most, it still doesn’t stop me from finding myself desperately needing a showering of colour in the dying embers of a dingy February. Thank God it’s the year’s shortest month. Paris hasn’t been nice enough to supply me with a giant ball pit in which to flap amidst the colours, so I’ve had to search out my own place of rainbows. And readers, thanks to my inexhaustible adventure feet, I’ve uncovered an absolute gem, buried in the heart of the vibrant 20th arrondissement. Most visitors to Belleville make a beeline for the mountains of steaming Chinese dumplings, weird and wonderful Asian traiteurs or eclectic cafés. But let yourself wander slightly further up the hill from the bustling hub at the Belleville metro (lines 2 and 4) and your wanderlust will be richly and creatively rewarded by the tiny paved Rue Dénoyez. Beautifully contrasted to the traditionally muted Haussmannian avenues in more well known parts of the city, here your eyes will be delighted by some of the best street art Paris can muster in an ever-changing palette of colours and design. Forget the crazy tangled eyesore (IMO) that is the Pompidou centre, this is modern art at its graffittied best. Historically the local artists have been afforded free reign to colour the street happy as they so desired, though last year the party-pooping Mairie put the brakes on the creativity and took away their right to artistic freedom in favour of building a new crèche and social housing. A passionate attempt to save the colourful status quo unfortunately couldn’t defeat the rigid administrative powers that make the rules. Just as the vibrant colours of the spring flowers must eventually fade, so it seems that sadly, so must the bright tones of Bellville’s modern art. 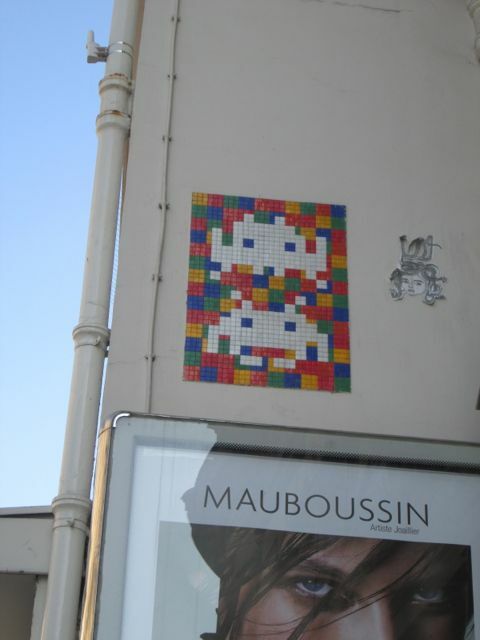 Of course there’s plenty around the city still to spy, including hundreds of offerings from Paris’ most famous street artist Invader, but it’s still a crying shame to see one of the most vibrant streets around white-washed in a predictable wave of French bureaucracy. Make sure you steer yourselves in that direction before the creative delights disappear forever. ‘No man is an island’ philosophised John Donne. Well I’m hardly the best candidate to verify his musings (what with my giveaway lady lumps), but I have learned recently, that if that man’s an artist, then he may or not be an island, but he certainly needs one for inspiration. The Île-de-France may lay claim to inspiring, housing and incubating some of the world’s greatest talent, but that’s just cheating – an area that includes Paris, its famous winding river and numerous sprawling suburbs can no doubt lay claim in some way or another to most things (yes, even Kim and Kanye have been here. Shudder). Zoom in to the city further and you hit the creative ‘islands’ of Montmartre and Montparnasse, the pavements of both practically sagging with the weight of history that surrounds them, not to mention the footfall of eager art tourists making sure they hit all the right spots. But for some of France’s great painters, it wasn’t the hedonism of Paris’ central districts that acted as muse, but some of the greener spots a few kilometres away from all of the gaiety. Monet’s legacy will forever be wedded to Giverny, but if it’s impressionism that gets you stroking your brush, then a trip out to Chatou and the Île des Impressionnistes is well overdue. You thought the Seine fizzled out into a sorry little trickle the minute it crossed the périphérique? Oh no my dear, naive explorer; head out into the wider, leafier parts of the Île-de-France and you’ll find it flowing serenely out into the unknown (according to Parisians anyway, but no, actual people really live this far out). The very same river, just not quite as brown, without bobbing crisp packets clinging to the banks and sans an endless procession of tourist boats pootling up and down. 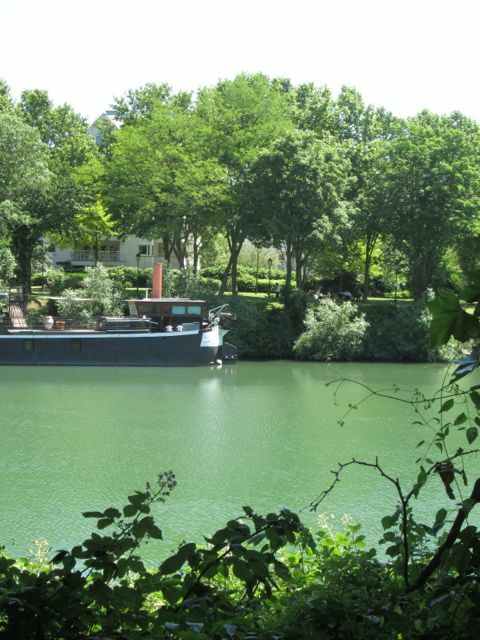 Paris proper may have its islands Cité and St Louis, but out in the Yvelines, the Île des Impressionnistes is the only mid-Seine sanctuary worth talking about. Renoir and his fellow impressionist chums thought so, and he and his entourage (from time to time including Monet and Degas) spent a great deal of time on a this tiny green patch, discussing ideas, socialising and dining to their bellies’ content in the local restaurant La Fournaise, taking in the views on its river-facing balcony. 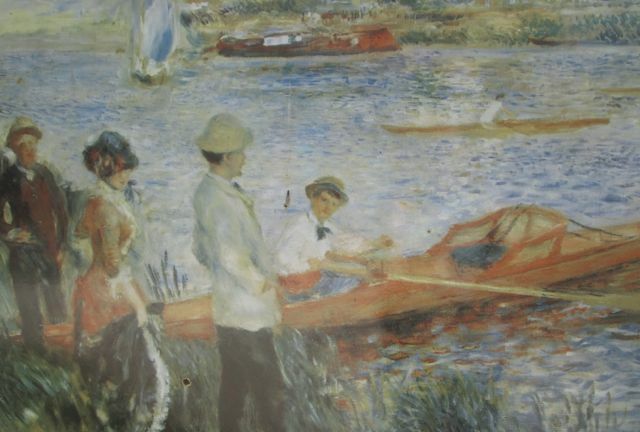 So good were the happy times spent boating on the water and relaxing with lunch when the rowing was finished, Renoir was moved to create one of his most famous works Le déjeuner des canotiers (Luncheon of the Boating Party), featuring a collection of his friends typically kicking back with food and wine in that very spot. 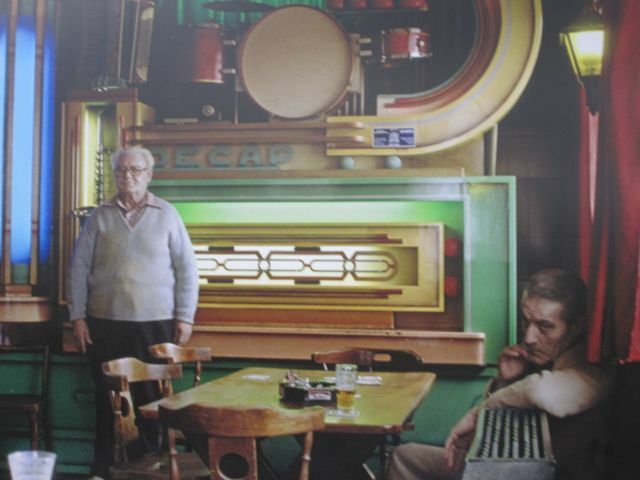 Remember the film Amélie and the old neighbour who keeps painting the same picture again and again but can’t recreate the same expression on the face of the girl in the middle? That’s the one. 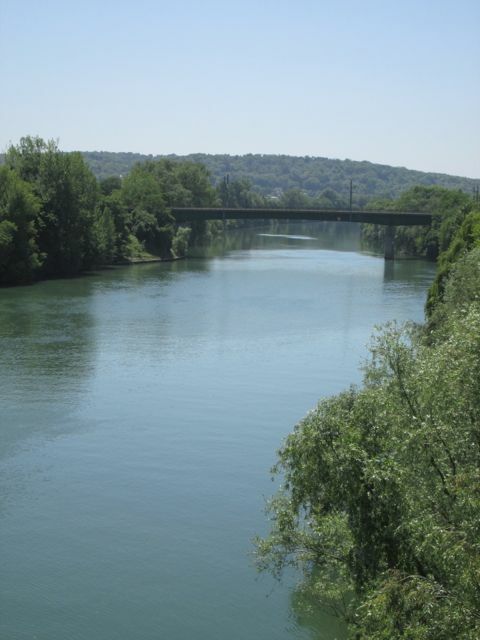 The less famous Le Déjeuner des rameurs (The Rowers’ Lunch) and Les canotiers à Chatou (The Boaters at Chatou) were born from the inspiration of the same place. Lunch spent absorbing impressionist vibes on that now-canonised balcony is a bit of a stretch (the restaurant prices are as lofty as you’d expect), but the views from the bank alongside it are as charming as you’d imagine from a place that inspired one of France’s most treasured artists. A stroll along the bank on a weekend (when the Navigo is dezoned, hooray!) is as pleasantly refined as it probably was back in Auguste’s day (that’s Mr Renoir to us humble folk). 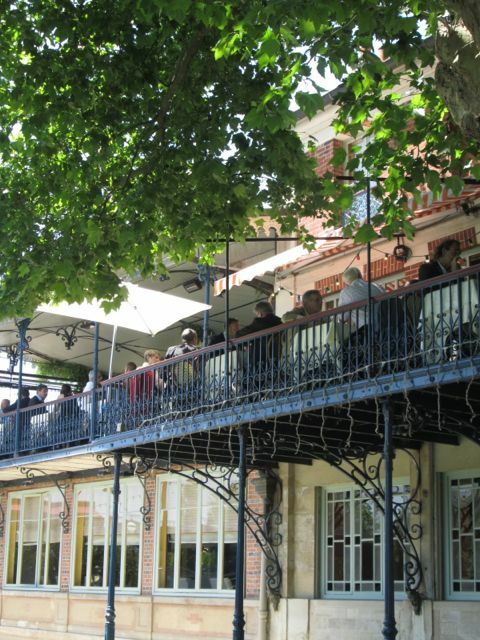 Plus Chatou’s nearby town centre has some charming independent shops and an open square begging for an afternoon glass of wine on a café terrace. You never know, maybe that doodle on your napkin could be the start of a wonderful career. Take RER A to Chatou-Croissy, zone 4, follow your feet to the island via a map inside the station, near the main exit. I’m a girl who likes to have a bit of colour in her life (and no, I don’t mean ‘blue’ movies…), though Paris isn’t playing ball at the moment, coating each May day in grey clouds and dull drizzle. Luckily a comprehensive redecorating programme of the Granny Flat is underway, with paint colour tester patches springing up everywhere, but leave her loving arms and venture outside in these times of questionable weather, and everything feels a little bit beige. If you’re scouring the streets for happier hues, then the metro is usually the last place you’d think to find them, what with all that concrete casing, those grimy white tiles, and the icy cold stares of packed-in commuters. 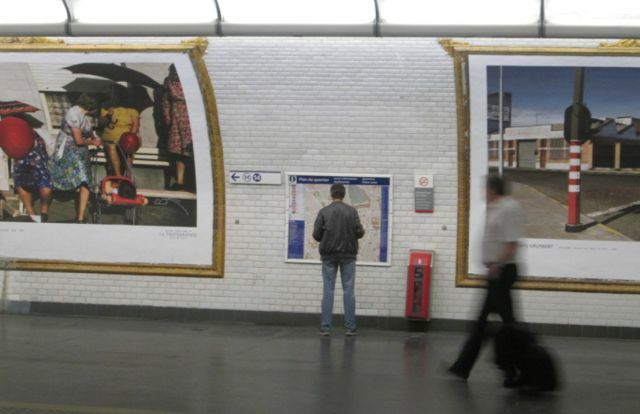 But for another month, that’s exactly where you need to go looking as RATP play host to another artist in their RATP invites… exhibition series, furnishing selected metro and RER stations with photographs from Belgian artist Harry Gruyaert. 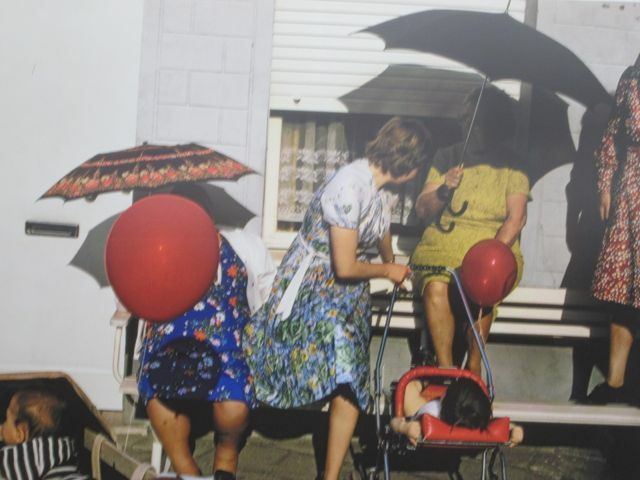 Now if we’re talking colour, he’s a chap who has devoted his artistic life to the study of it; he was one of the first pioneers of colour photography way back in the 1970s. Whilst us amateur snappers may rely on the black and white setting to give us that professional edge, Harry sees colour photography as more physical and affecting, exploring all of the different shades, tones and intensity that he can find. Starting his career in Paris taking photos of the fashion industry, Harry was soon drawn towards travel, and the exhibition adorning the walls of the metro platforms in his career’s first port of call show the results of his work in his native Belgium, Morocco and London. 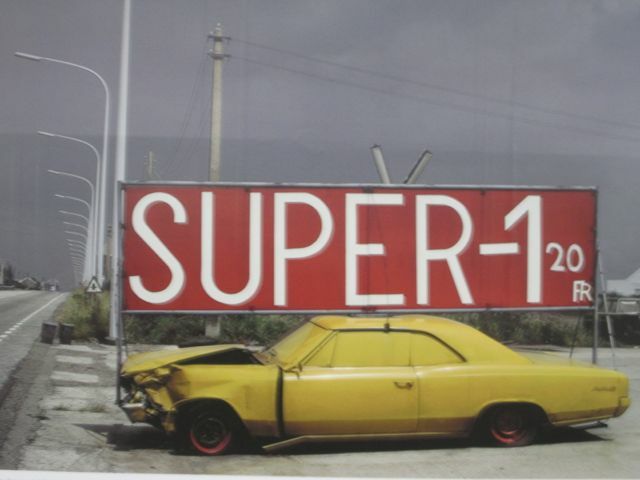 Not only do you get the chance to explore the aesthetic journey he has taken, but you literally follow him on his physical journey as his photographs are arranged into four distinct sections and seven metro stops, meaning that you get to travel too if you want to see the entire collection. Part 1, Maroc, (Luxembourg, RER B) is the culmination of 40 years of travel through the rural landscape of Morocco, the artist enchanted by the inexhaustible palette of colours laid out before him. At station Jaurès (line 2) the inspiration comes from just across the channel in a series of photographs called TV Shots, which capture his London experiments disrupting TV sets and zapping through the various colour TV programmes of the era, influenced by the time’s Pop Art movement. Part 3, Made in Belgium, can be found spread over three stations (Hotel de Ville, La Chapelle and Saint Denis Porte de Paris) and has its roots in the country of Harry’s youth. 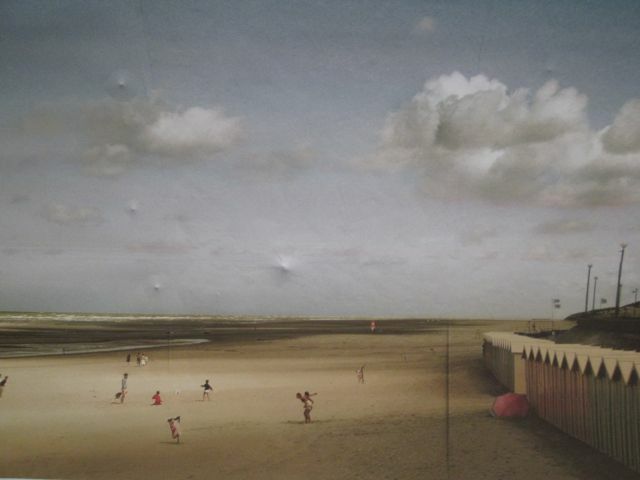 It displays his work there in the late 1970s, where he tried to put his painful past behind him and endeavoured to find the different nuances in a less-than-vibrant landscape. The final part, Rivages (shores), located at Saint-Michel and Bir Hakeim, captures the subtle shades of nature’s colour wheel between the sea and the sky at some of geography’s lesser exotic seashores. 50 Shades of Grey is so last year, colour’s where it’s at. The exhibition sticks around until 15th June. For more info, click here. The 80s eh? Thank God that decade’s long gone. It was just so flammable. We’re all much safer now there are a few decades between us and those crispy Flock of Seagulls hairdos. But ha ha! Paris shows it has a sense of humour and has held on to one of the most iconic symbols of those sacred fluoro years, that looks down on us from up high on thousands of the city’s corners to make sure we’re inspired to hum a bit of Wham! from time to time. Take that chic crowd. Before you give yourself a crick in the neck scouring the storeys for Madonna’s conical bra, I’ll give you a hint as to what you’re looking for (hey, if you haven’t picked up the hint from the photos by now, then perhaps Twister is more your game). The kids these days may have computer graphics that are so real they mess with your mind, but back when I was a nipper, zapping space invaders was all we needed (well, after that two stick tennis game where you’d turn the knob to go up and down and that was all you could do). 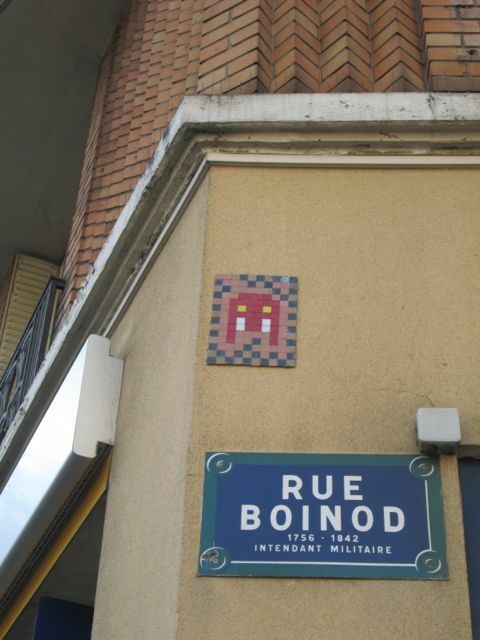 One Frenchman has taken his worship of the pixelated monsters into adulthood, and has scattered the streets of the capital with various homages to his computer critter passion, hitting the START button in 1996. If you’ve spotted one already, don’t think you’ve defeated the Boss just yet, there are at last count, 1138 of them to find, and that’s just in Paris – this guy has gone global, but more of that later. Just as the video game has evolved over the years, then so has his style and he’s branched out into a dizzying array of cartoon and vintage computer graphic figures, from good ol’ Mario to Oscar the Grouch (even street artists get the grumps it seems). And don’t be fooled by impersonators neither (Mama didn’t raise no fool) his website documents some of his work, so you can try and cross reference your find to check if it’s legit. Want to shake this mysterious urban art guerrilla by the hand? Yeah, right. You’ve got more chance of beating the highest Pacman score on the arcade machine. Very much sharing a love of privacy with Britain’s Banksy, ‘Invader’ as he prefers to be called, is as hard to find as a Sinclair ZX Spectrum in perfect working order, keeping his face and identity a fiercely guarded secret. He works exclusively at night and hides his true self behind a mask (in my mind it’s a Darth Vader one), and despite being arrested umpteen times, he’s managed to invade 60 cities in 30 countries including New York, London and Barcelona, and as far afield as Tanzania and Brazil. In France alone he’s left his mark on 31 cities, and still managed to keep his real persona safe. The man’s an artistic ninja. By why would a grown man make it his life’s mission to create a giant Pink Panther out of tiles and risk arrest by gluing it to a random wall? Like most artists, there’s a well considered point to it, Invader’s being what he sees as the limited accessibility to art galleries and museums. He’s assumed the duty of bringing art to the masses on a daily basis, his work being gifts to the general public. And it’s not so random either; his sites are well researched and extremely carefully chosen, often selected with the help of the local community. Surely these things go missing all the time you might ask, as has been the fate of some of Banksy’s pieces? In some of the world’s cities, it’s true that his masterpieces have been removed by local authorities, but individual wannabe art dealers will have a tougher time with a hammer and a chisel given that Invader uses special glue and cement to keep his mosaics hangin’ tough. Rather than diminishing in number, his mission continues, and along the way he has high-fived new players to the game, inspiring a huge number of other street artists in the process. Game Over? Not a chance. See the Banksy-produced documentary Exit Through the Gift Shop for more info (featuring Invader’s cousin) or check out his official website to advance to the next level. Or just go native and keep your eyes peeled as you go about your way (this is real life remember, no points for defeating pedestrians while you’re searching for the hidden treasure).